It is finally here the baby carrier small enough to tuck in your nursery bag and big enough to carry a tired two-year-old. 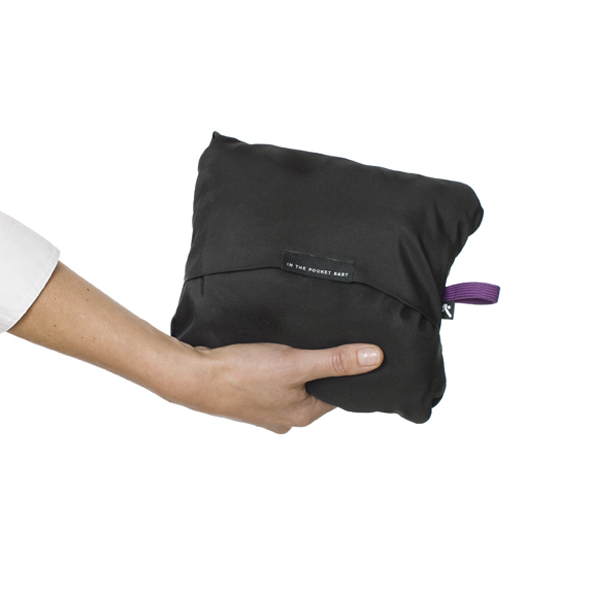 The solution from IN THE POCKET BABY is designed with the ergonomic advantages of the sling for both the child and the carrier, combined with modern design for versatility and ease of use. 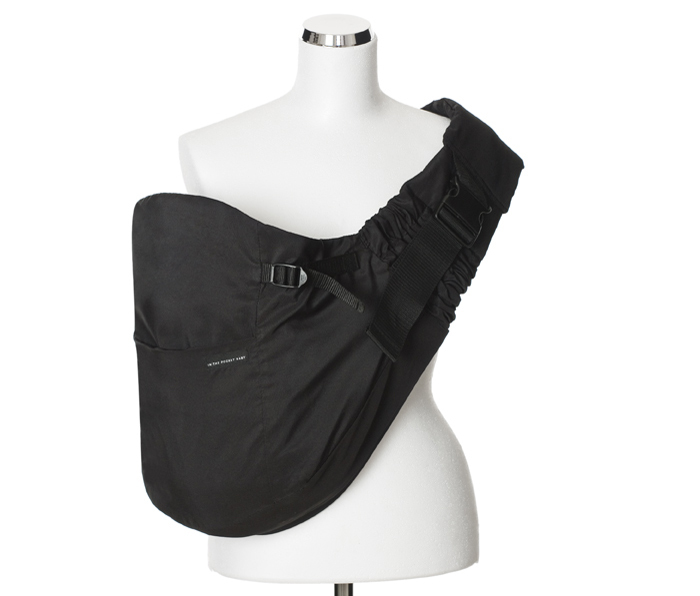 Folded into the smart, integrated storage pocket, the baby carrier takes minimal space. 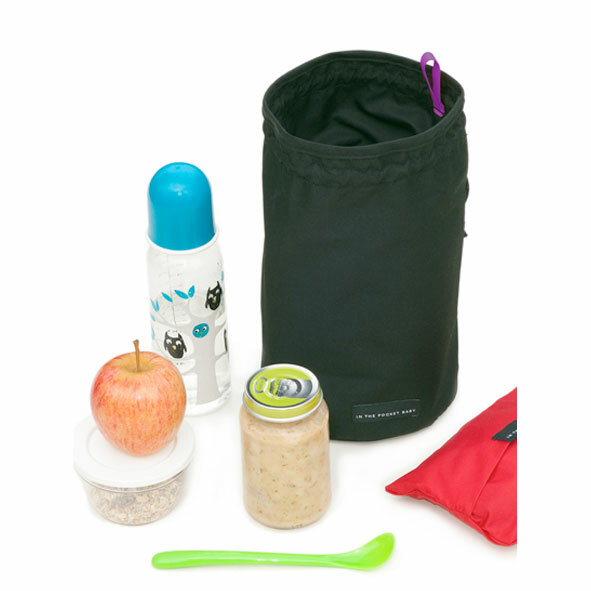 Keep it in your nursery bag and pull it out whenever you need to lighten the load and keep your hands free in the shop, at the airport, in the laundry room. The straps are fully adjustable for individual comfort. 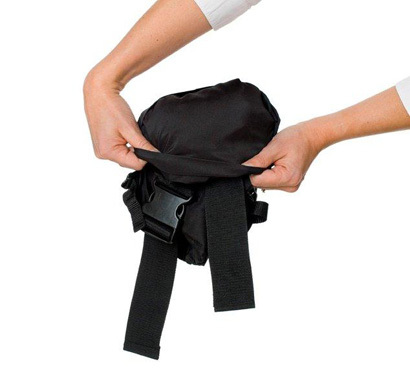 The IN THE POCKET BABY®CARRIER is intended from when the baby can control its head at around 4 months of age – and up to 20 kg/44 Ibs. Read the safety and user instructions carefully before using the carrier. Check the condition of the carrier before using it for the first time and regularly thereafter. Inspect seams and buckles carefully. 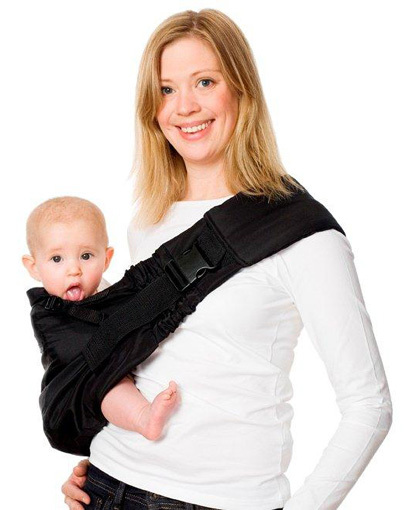 Hold the baby securely until you are sure the baby is correctly placed in the baby carrier. Remember that the baby’s weight and movements will affect your balance. Keep a supporting arm around the baby when you bend forward. Make sure there is always unobstructed air passage to the baby’s nose and mouth. 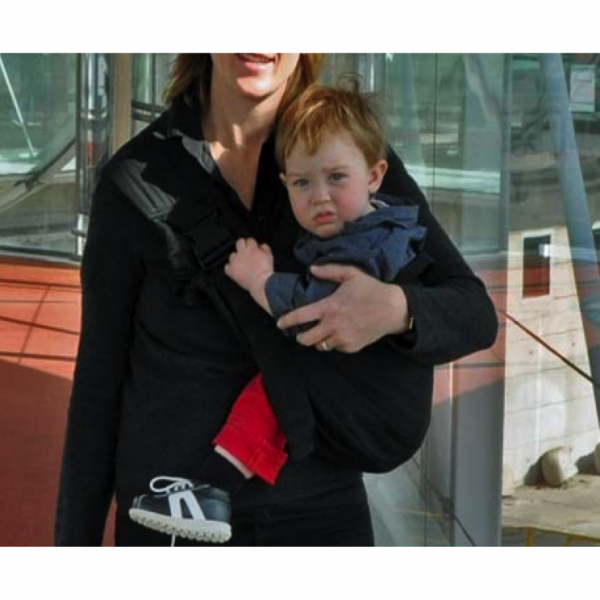 When taking the baby out of the baby carrier, hold the baby securely with one hand and open the buckle with the other. Close the buckles, put on the baby carrier and leave the front strap loose. Lift the baby into your arms and place his/her legs inside the baby carrier with your other hand. Pull the lower part of the fabric around the baby’s bottom all the way to the back of the knees. Make sure the baby is centred and deep in the baby carrier. Pull the strap loop on the inside to fix the right position. Pull up the upper part of the fabric until it reaches the baby’s armpits or neck. 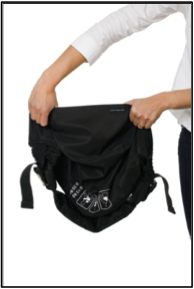 Tighten the strap through the large buckle and adjust the two buckles on the front of the baby carrier as needed. Hold the baby steady with one hand until he/she is sitting close to your body and you have made sure the fabric reaches the backs of the knees and up to the armpits. Tighten the strap again if it feels like you have to hold onto the baby. For maximum carrying comfort, the baby’s bottom should be at the level of your navel. – Buckles from ITW Nexus.